Christmas in Great Britain is a magical thing. On this group tour, we'll take you through awe-inspiring landscapes to must-see historical destinations. Encounter Stonehenge, Hadrian's Wall, York and Bath. Make your way through the Scottish Highlands, Lake District and along Loch Ness. Dine in a pub and drink a dram with the locals. Experience Liverpool, the home of the Beatles. And see Shakespeare's house! Christmas Day we spend in Edinburgh, in the midst of Scottish Yuletide festivities. It's a beautiful journey through a gorgeous country. A must for all avid adventurers. an overnight stay in the Scottish Highlands, Christmas celebrations in Edinburgh, a driving tour of Liverpool and many more! Welcome to your Christmas tour of Great Britain! Today you will fill your lungs with fresh, English countryside air, as you depart the city of London, and head to where the grass is greener. 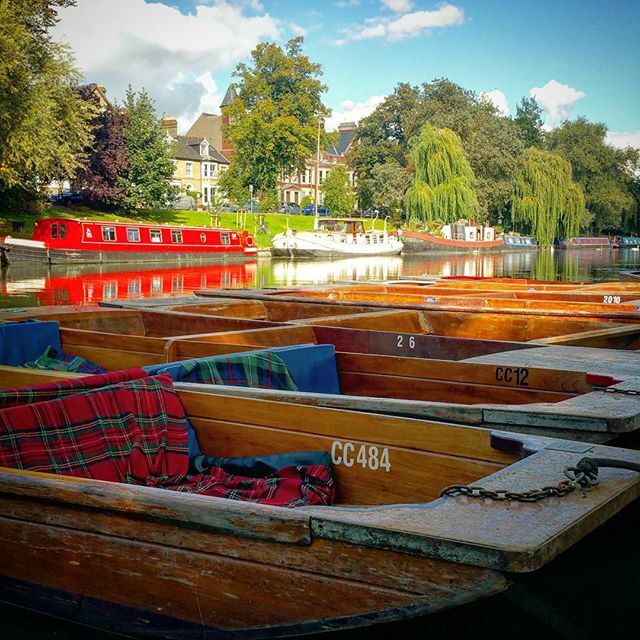 Arriving in Cambridge, your first adventure will have you punting along the river in traditional style, taking in the stunning scenery and epic, historical buildings in the most relaxing way. Simply wonderful! The afternoon sees you continuing your rural ‘rovering’, towards York, a mecca for history buffs and lovers of fine architecture and culture. Your walking tour offers fascinating insights, stories and history of the city. Tonight you will enjoy dinner in a traditional British pub - plenty of choices on the menu including English favourites such as Fish and Chips or Bangers and Mash (that's sausages and creamy mashed potatoes)! Cambridge River Punting: we visit this historic city renowned for its leading university. Savour the history and marvellous views as we punt along the river. 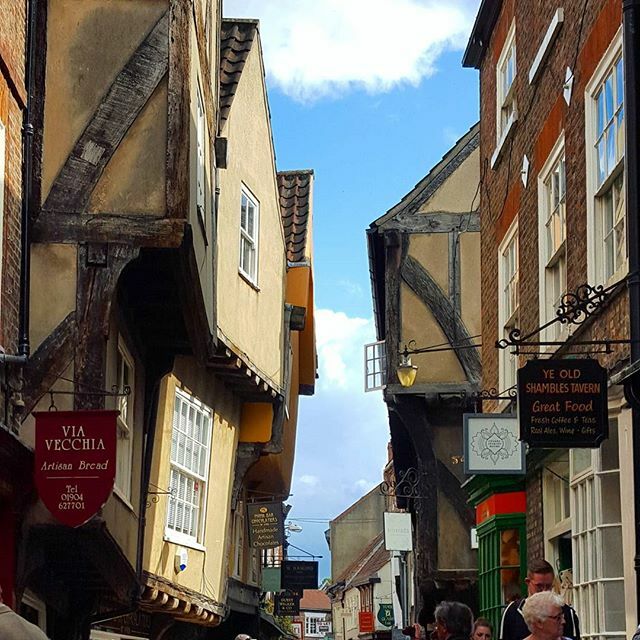 Walking tour of York: take a walking tour round this historic walled city with your Expat Explore tour leader. This evening, enjoy dinner in a traditional British pub. This morning we carry on heading north to the iconic Scottish Highlands. Our first stop along the way is Hadrian's Wall, a defensive fortification constructed by emperor Hadrian across the final frontier of the Roman Empire in what was then the Roman province of Britannia. We'll then travel on to Gretna Green, a beautiful historic village in southern Scotland that is one of the world's most popular wedding destinations. This evening we'll arrive at our hotel in the Scottish Highlands and enjoy an included dinner. Photo stop at Hadrian's Wall: visit Hadrian’s Wall on the border between England and Scotland. Gretna Green: a hotspot for tying the knot since the 18th Century, as young star-crossed lovers travelled over the border from England to avoid a law that stopped couples under 21 years of age marrying. 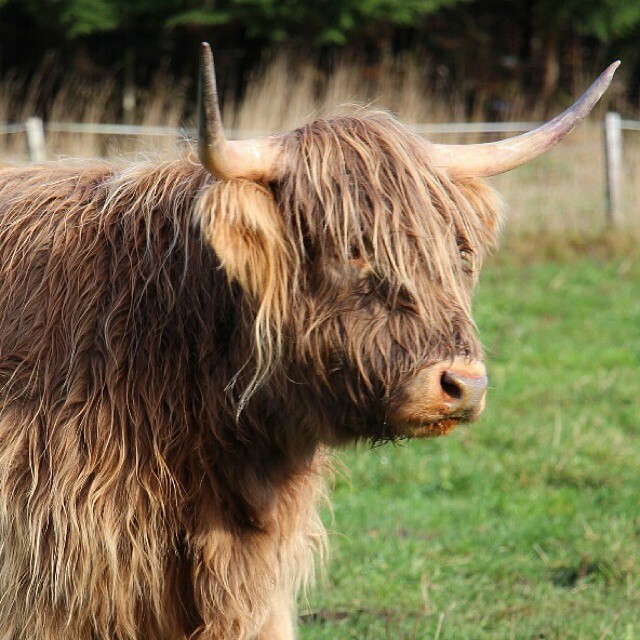 Scottish Highlands: enjoy an overnight stay in the iconic Scottish Highlands. If the weathers clear you may catch a sight of Ben Nevis, the highest mountain in the British Isles, as we make our way to Glencoe, a spectacular Glen (Scottish for a deep valley in the Highlands) and where the massacre of Glencoe took place in 1692, one of the most fascinating yet saddest stories encompassing Scotland’s history. As we travel on to Edinburgh, we'll make a photo stop at Loch Ness - home to ‘Nessie’ the Loch Ness Monster; join the optional cruise excursion and see if you can spot her! 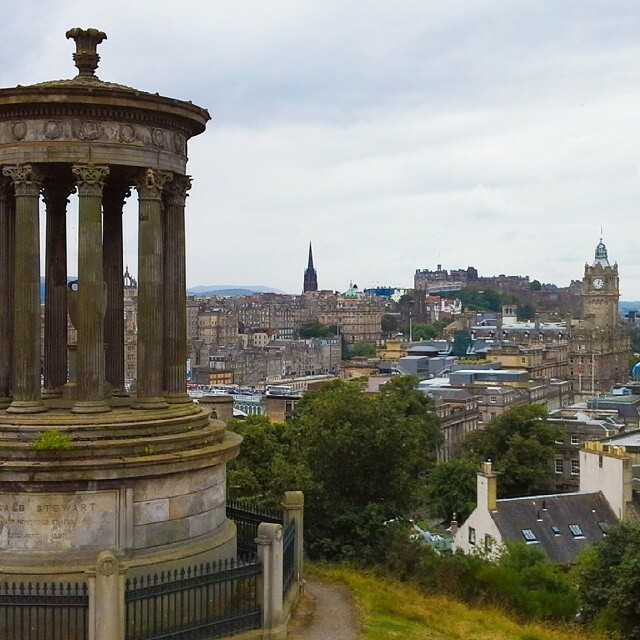 On arrival in Edinburgh we'll check in to our hotel and then depart for a driving tour to help you get your bearings for the city and plan your free day tomorrow. Scenic drive: cross your fingers and hope the weather's clear so that we catch a sight of the grandeur of Ben Nevis, Britain’s highest mountain. Glen Coe: get your camera ready as we drive through amazing scenery. Your Expat Explore tour leader will also tell you about the amazing history of this region. Photo stop at Loch Ness, home to the mythical monster 'Nessie', and the option to join a cruise to see if you can spot her from the water. 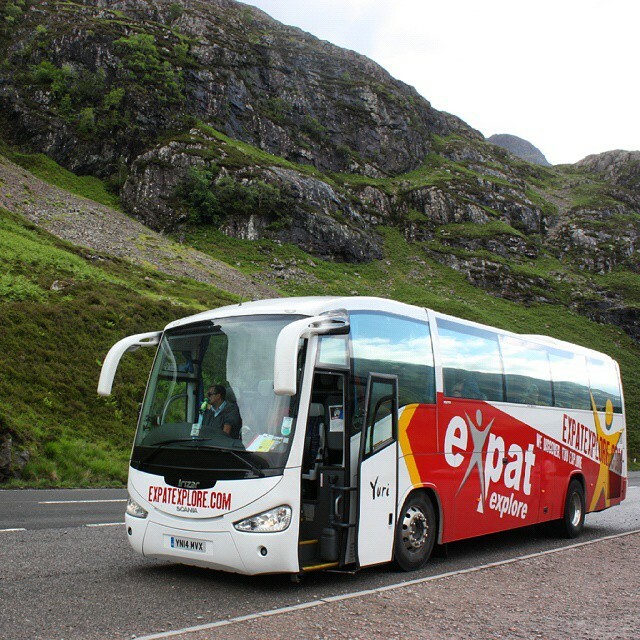 Edinburgh driving tour: arrive in the capital of Scotland and experience the historic sights from the comfort of your Expat Explore coach as your tour leader takes you on an evening driving tour of this magnificent city. Merry Christmas! Today you are free to explore the city as you wish, and there is so much to see and do. Known as the cultural capital of Scotland, Edinburgh is blessed with stunning greystone and gothic architecture. Take a step back in time and wander around the unchanged cobbled streets of the Royal Mile and meander down to the Grass Market, to a row of pubs where public hangings used to ‘entertain’ the crowds. You will also enjoy an included festive dinner this afternoon - time to enjoy some of that legendary Scottish hospitality! As your heart sinks at the thought of leaving Scotland, be reassured that there are exciting adventures to be had today in England! Your Great Britain tour will take a twist into modern history, as you head across the border, bound for Liverpool - the home of The Beatles and two world-famous premier league football clubs! On the way, you can soak up the last of the Scottish landscape, before reaching the picturesque Lake District for a lunch stop – the views are simply stunning! We then arrive in Liverpool late afternoon, where you will have the evening free to explore. Upon checking in at the hotel, head to one of the many local pubs for dinner. For Beatles fans, there are a myriad of locations that were significant to developing the world-class pop act, which shaped modern music as we know it. Home to Paul, John, George and Ringo, Liverpool inspired such timeless classics including ‘Strawberry Fields’ and ‘Penny Lane’. The Beatles played hundreds of shows at the Cavern Club, the perfect place to enjoy your time in Liverpool. Experience the Lake District of England. Here, you will have free time for a comfort stop in the beautiful village of Grasmere (or similar), where the author William Wordsworth lived, in the Lake District. This morning, we will take a driving tour of Liverpool, where you will be shown the sights, before we venture on to the birthplace of William Shakespeare - Stratford-upon-Avon. 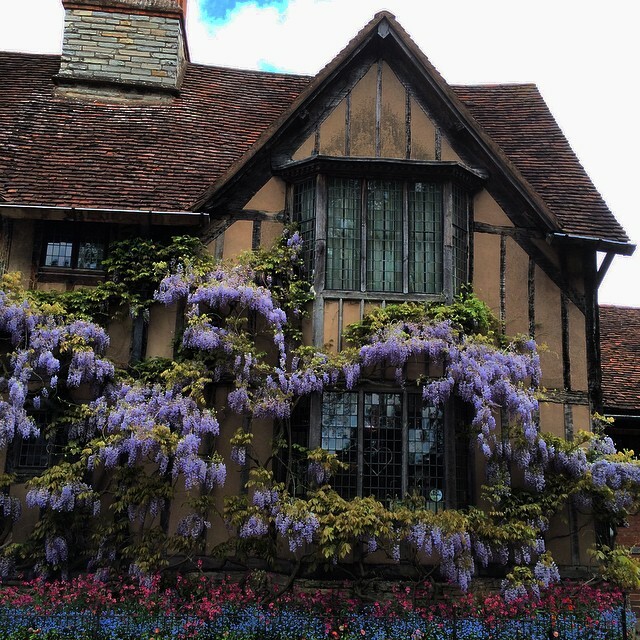 There are numerous Shakespearean attractions and fascinating historical locations to visit. Sliding into south Wales, you'll have the chance to see a medieval castle before we head onwards to the Welsh capital of Cardiff. 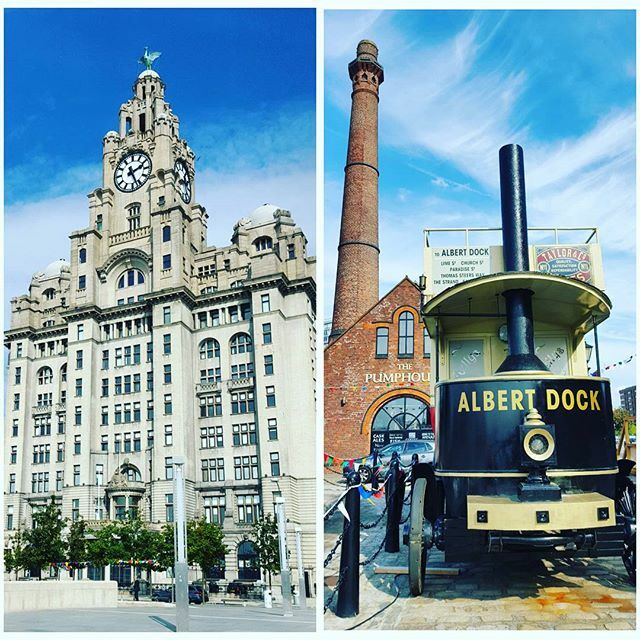 Liverpool driving tour - take a driving tour and see the Albert Dock, Anfield football stadium and a variety of locations connected to the Beatles. Visit the birthplace of William Shakespeare - Stratford-Upon-Avon, where you will have free time to wander the city. Castle Photo stop - on our way to Cardiff we make a quick photo stop at a medieval castle. Visit to Cardiff - we continue on to the Welsh capital where you have some free time to spend the evening as you wish. This is the last day of your British Tour, and there is no sign of slowing down! First stop for the day is Bath – a UNESCO World Heritage Site featuring some of the finest architecture in Europe. Join us on an orientation tour of the town, and learn about the historical significance of the region, including the natural hot springs that supply the Roman baths - visited by over 1 million international tourists every year! Continuing on the last legs of your journey, you have an optional excursion that could have you unravelling one of the worlds’ greatest mysteries. At Stonehenge, you have the opportunity to witness an ancient and awe-inspiring structure, which has baffled scientists, tourists and historians for centuries. We arrive back in London this evening at the end of a fantastic week of exploring Great Britain! Bath Orientation tour: your Expat Explore tour leader will point out all the main attractions of Bath, so you can make the most of your time here. Visit the home of the mysterious Loch Ness monster and enjoy a 1 hour cruise on the loch. Take in the sights and enjoy the serene surroundings. Have your cameras at the ready as you may even spot old Nessie. Bath is a UNESCO World Heritage Site boasting some of the finest architectural sights in Europe, and undoubtedly one of the highlights is the Roman Baths. Around Britain's only hot springs, the Romans built the finest religious spa in northern Europe. This great temple and bathing complex still flows with natural hot water. The extensive remains and a Roman museum of international significance lie beneath the Pump Room and Abbey Church Yard in the centre of Bath. 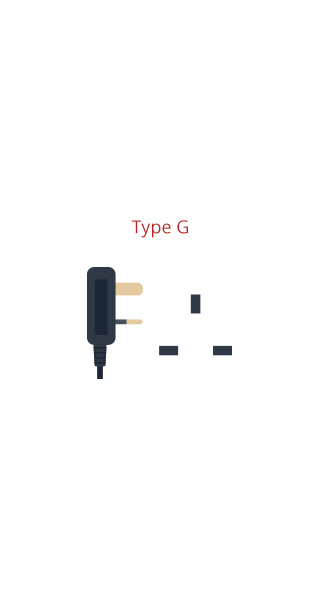 Socket G requires plug type G. An adapter that converts your devices plugs to plug type G will allow you to use all sockets encountered on this tour.